Your pie could arrive shortly after you do. Domino's is continuing its quest to let you order pizza through every device imaginable. It's partnering with Xevo on an app that can order pies through your car's infotainment system, no tethered smartphone required. You can avoid distractions by placing an Easy Order or repeating your last order, and track your food's progress. There's also an option to make an order by phone in case you have a complex request or just prefer human contact. 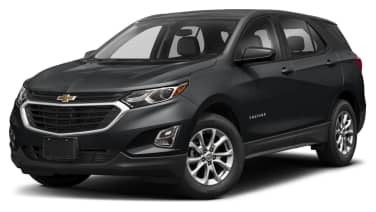 The technology is expected to come pre-loaded on "millions" of cars sometime later in 2019, although Domino's and Xevo didn't name specific brands or models [though the above image appears to be some sort of GM product, probably a Chevy Equinox]. Either way, this could be more useful than you might think. It's not uncommon to order pizza on the way home to save time — this makes it simple enough that you could make a purchase in the time it takes to stop at a red light. Reporting by Jon Fingas for Engadget. Car make/model note added by Autoblog.